Hi, I’m Dr. Carlos Guerrero. I welcome you to Baja Dental Solutions. Since I was young I was interested in dentistry due to bad experiences with my teeth which caused me to be interested in studying the causes of the problems I had with my teeth and how to solve them, which led me to study the degree in dentistry in the AUTONOMOUS UNIVERSITY OF SINALOA graduating in 2003 and obtaining my official degree and professional license in 2006. My experience in dentistry began from the first semester of the degree where I had my first professional contact in a dental clinic to work as an assistant of specialists in dental prosthesis, rehabilitation with fixed prosthesis (porcelain crowns) and orthodontics, in this way I obtained from continued professional preparation since the beginning of my dental career. At the same time that he was pursuing a degree in dentistry, he took different courses in aesthetics and dental rehabilitation as well as bone diagnosis of the temporomandibular joint and dental implants. I qualified the graduates in organic, intermediate and advanced orthodontics at the Institute for the Development and Updating of Professionals (IDAP) from 208 to 2010, I also took courses to perfect my dental rehabilitation technique with porcelain and zirconia crowns that taught different dental houses like keep and 3m. In 2015 interested in the welfare of our patients take the medical course of R.C.P. (cardiovascular resuscitation) and D.E.A. (external automatic defibrillator) granted by the secretary of health (S.S.A.) and the secretary of work and social welfare (S.T.P.S), in order to be prepared to have a primary reaction to any medical emergency that may arise in the dental clinic. 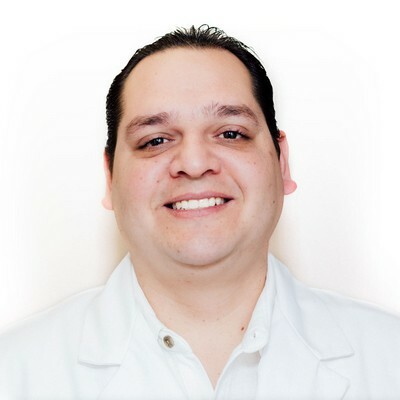 Currently, I work as a professional advisor and responsible for diagnosing special cases in the dental clinic in different dental clinics in Tijuana, due to my extensive knowledge in the different areas of specialty such as implantology, oral rehabilitation, surgery, periodontics and reconstructive dental aesthetics. At BajaDent in Tijuana, our goal is to provide the best dental and medical care for our patients who come from the US and Canada. We specialize in cosmetic dentistry, plastic surgery, and weight loss surgery in Tijuana, Mexico.